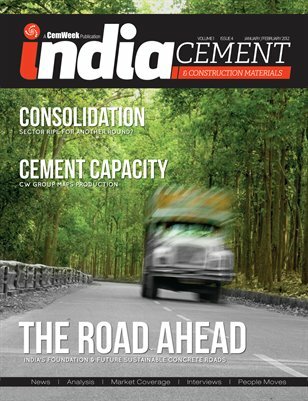 The January / February issue of the CemWeek's ICCM highlights a major driver of current and future cement demand in India: road construction. Additionally, the ICCM talks to engineering consultant Holtec and provides an analysis of consolidation scenarios in South India. The CW Group also highlights work from its recently released, bottom-up analysis of the Indian cement plant universe, mapping units, cement production capacity and other variables. The issue also provides a round up of the latest key industry developments.